1000 PIECE ASSORTMENT OF COLORFUL ACRYLIC BELLY RINGS IN ALL OUR TOP SELLING STYLES. THE SHAFTS ARE MADE OF 316L SURGICAL STEEL, 14 GAUGE 7/16". 2500 PIECE ASSORTMENT OF COLORFUL ACRYLIC BELLY AND TONGUE RINGS IN ALL OUR TOP SELLING STYLES. THE SHAFTS ARE MADE OF 316L SURGICAL STEEL, 14 GAUGE 7/16" AND 5/8" RESPECTIVELY. YOU WILL RECEIVE 1250 OF EACH. 1000 PIECE ASSORTMENT OF COLORFUL ACRYLIC TONGUE RINGS IN ALL OUR TOP SELLING STYLES. THE SHAFTS ARE MADE OF 316L SURGICAL STEEL, 14 GAUGE. Colorful Acrylic Tongue Rings 2500 Pack - 10 cents each! 2500 PIECE ASSORTMENT OF COLORFUL ACRYLIC TONGUE RINGS IN ALL OUR TOP SELLING STYLES. THE SHAFTS ARE MADE OF 316L SURGICAL STEEL, 14 GAUGE. 14ga & 16ga 316L Surgical Steel Rings with Press Fit Gem Ball. U.V. BELLY RINGS IN YOUR CHOICE OF FLEXIBLE PTFE OR 316L 14 GAUGE 7/16" (11MM) LENGTH BAR This is a SUPER MIX of 50 pairs of our best selling plugs. Each set includes steel, wood, acrylic, organic, stone, and more! TOP QUALITY 316L SURGICAL STEEL 14 GAUGE 7/16" (10MM) LENGTH BAR. Shaped CZ Solitaire Belly Rings 100 Pack. 14 OR 16G CURVED EYEBROW BARBELLS IN BALLS AND SPIKES.TOP QUALITY 316L SURGICAL STEEL. 14 OR 16G STRAIGHT EYEBROW BARBELLS IN BALLS AND SPIKES.TOP QUALITY 316L SURGICAL STEEL. ANODIZED SPIKE AND BALL 14 GAUGE HORSESHOES IN 1/2",COMES IN RAINBOW,BLACK,DARK BLUE,LIGHT BLUE,PINK AND PURPLE. TOP QUALITY.TOP QUALITY 316L SURGICAL STEEL 14 GAUGE. 100 PIECE ASSORTMENT OF OUR BEST SELLING BLACK TITANIUM ANODIZED BAND RINGS IN ASSORTED DESIGNS. COMES IN ASSORTED SIZES FROM #6,#7,#8,#9,#10,#11,#12,#13 ASSORTED.TOP QUALITY 316L SURGICAL STEEL BLACK TITANIUM ANODIZED. 100 PIECE ASSORTMENT OF CURVED U.V. TAPERS IN 12G,10G, 8G,6G,4G,2G & 0G.COMES IN ALL THE MOST POPULAR COLORS FOR TAPERS BLACK,PINK,DARK BLUE AND LIGHT BLUE.EACH TAPER COMES WITH 2 BLACK "O" RINGS ON IT. U.V. 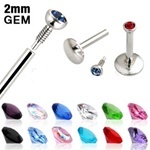 ROSE BELLY RINGS IN AN ASSORTMENT OF COLORS SHOWN BELOW 9 COLORS IN ALL.TOP QUALITY 316L SURGICAL STEEL 14 GAUGE 7/16"